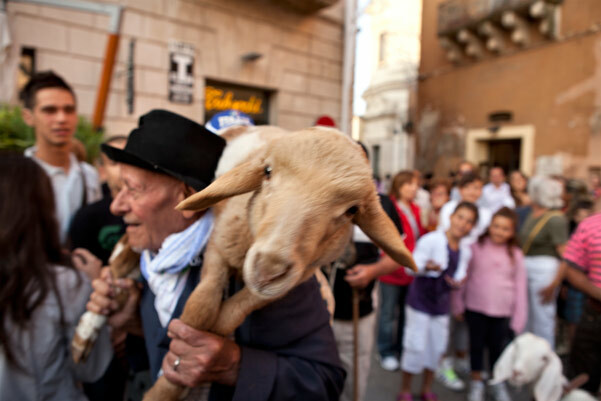 The feast of the Madonna della Bruna, Patron of the city of Matera, begins with the procession “of the shepherds”, starting at dawn from the church of ” San Francesco da Paola” and going on around the town. 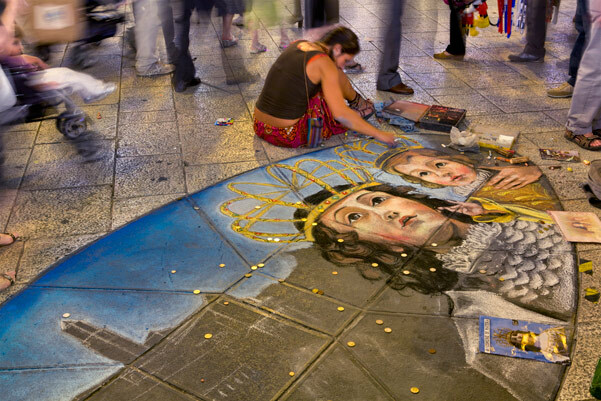 Young people come first and light firecracker to wake up citizens, while the oil painting of the Virgin follows. 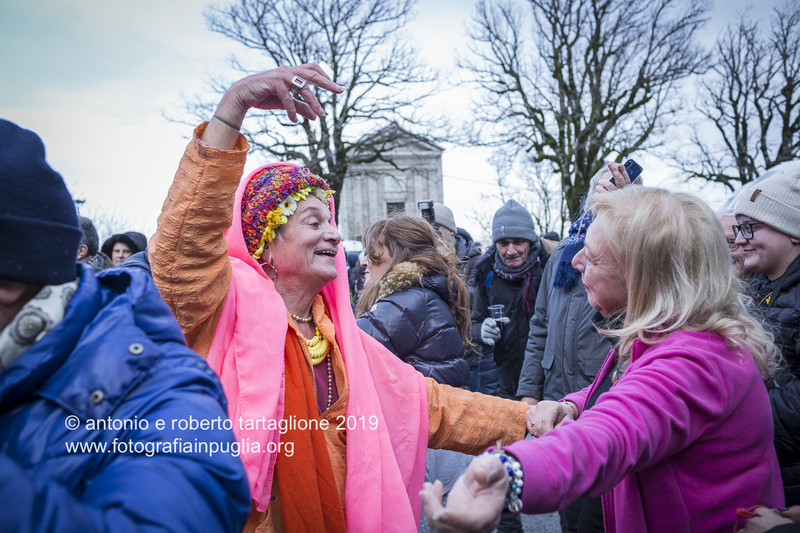 There are a lot of happenings tied to this feast but surely the conclusion is the most pregnant, when in the evening the procession with the statue of the “” SS. 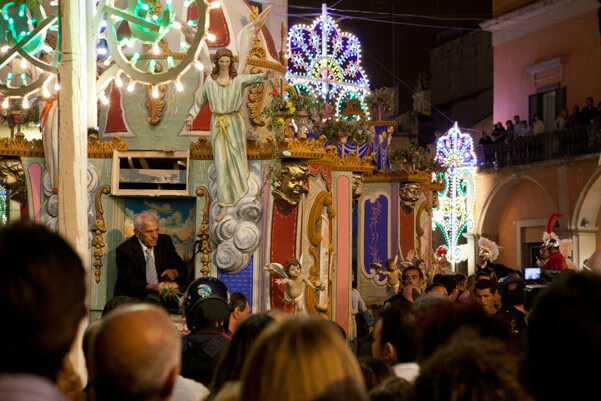 Madonna della Bruna”, carried on the float, is brought back into the Church of San Francesco , where “three turns” are performed, to symbolise the taking of the city by the Holy Patron. The statue, accompanied by the Archbishop’s court,is then placed inside. excitement, assault and destroy the chariot. Probably you will meet people going home with pieces of the float in their hands. It is indeed positive to keep also a very small piece of “papier-machè”.